You can transfer chats to other agents or departments in your Bold360 organization. To transfer a chat to another team member, click Transfer at the bottom of the chat panel. Restriction: During remote access, Transfer is unavailable. You are prompted to select an agent or department. Select the receiving agent or department and click Transfer. The chat is transferred and removed from your workspace (the swimlane closes). Keep in mind that if Automatic Distribution is configured and you select Transfer Automatically then the chat will be assigned back to you if there are no other available agents. You can transfer chats to an agent in your organization while monitoring conversations. 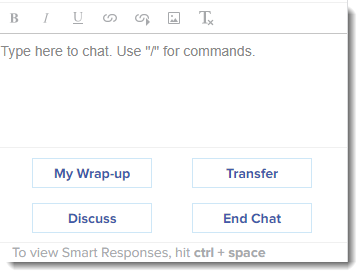 To list chats, click the arrow in the-top left corner of the agent workspace above your list of sessions. Select a chat on the Bot, Queued, or Assigned to Agent tab. You can select multiple chats to transfer. Note: To transfer chats from the bot, you must have the Actions > Chats > Assign other permission enabled in the Admin Center. 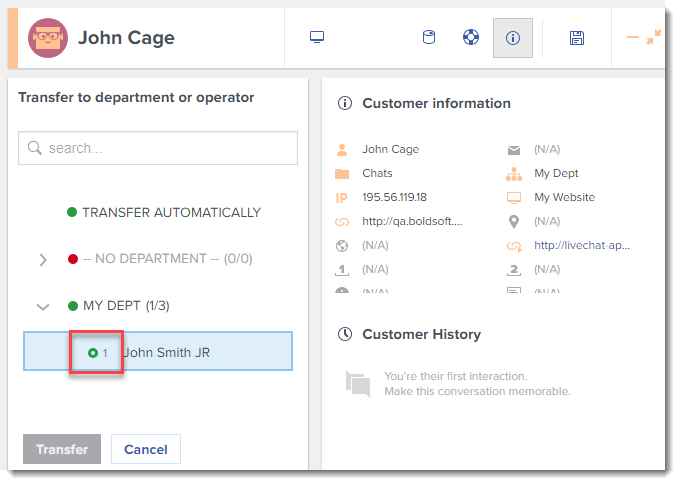 Click Assign to... and select an agent or a department where you want to transfer the chat. Optionally, select Transfer automatically to use automatic chat distribution and let Bold360 choose an available agent. Note: When you transfer a chat to an agent, make sure their workload allows them to take an additional chat. The number next to an agent's name represents their current tasks, excluding emails. You can also transfer the chat to yourself by clicking Assign to me.